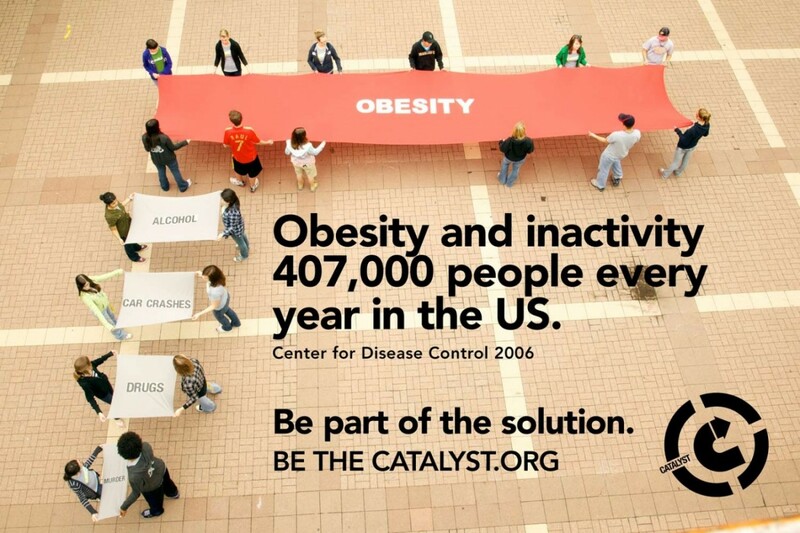 Catalyst members from across Minnesota took part in an activism event in St. Paul, MN during the summer of 2010 to get one message out: obesity kills. It kills more than alcohol, drugs, and car crashes combined. According to a 2005 study published in the Journal of American Medical Association and funded by the CDC, 111,000 people die from obesity every year in this country, and these young people want to be a part of changing that.